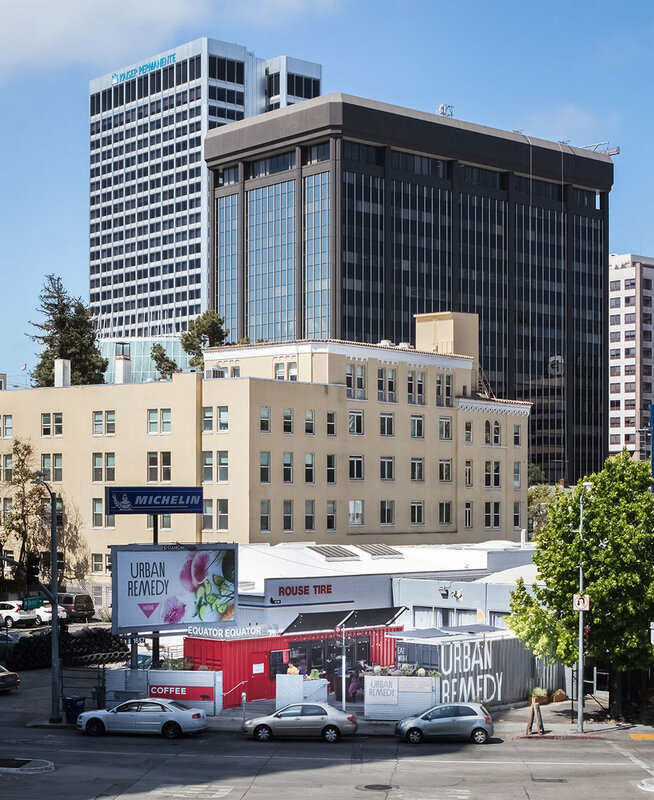 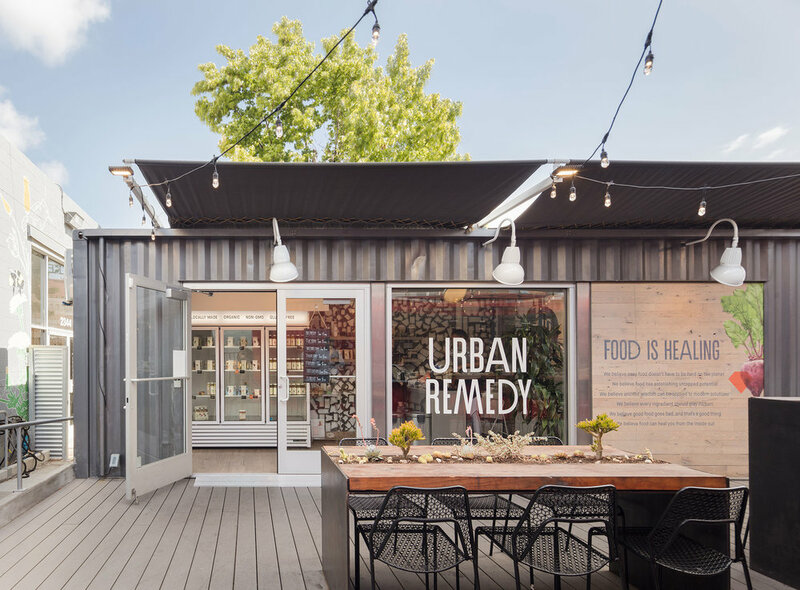 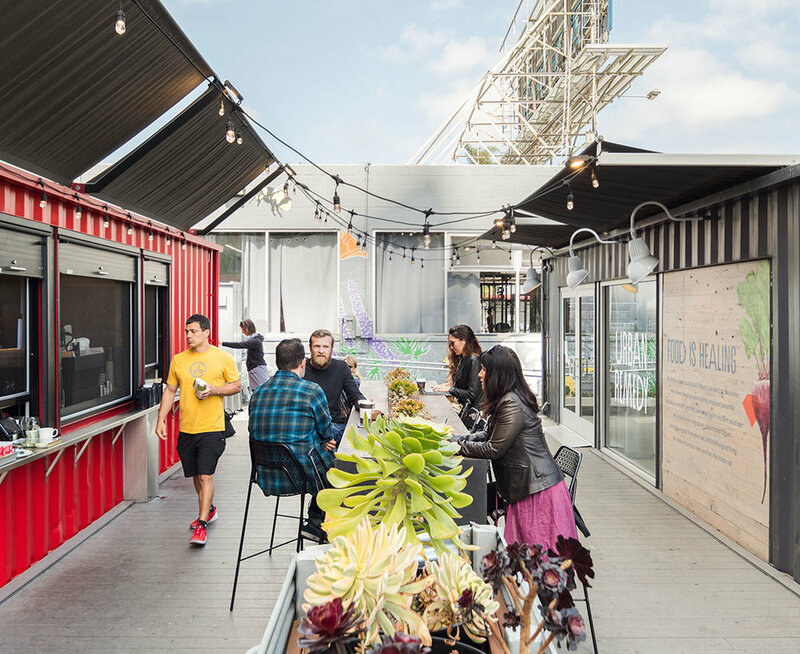 Located in Oakland, California near the Lake Merritt, RAD LAB sought out to bring the concept of Cargotecture to a new up and coming area in downtown Oakland. 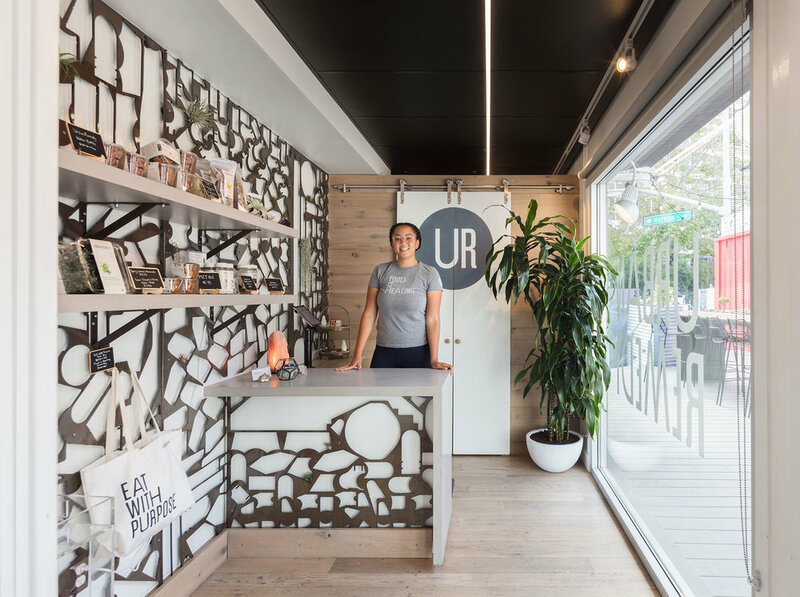 By introducing a juice bar, Urban Remedy, and coffee shop, Equator Coffee, RAD LAB was able to create a positive and inviting space. 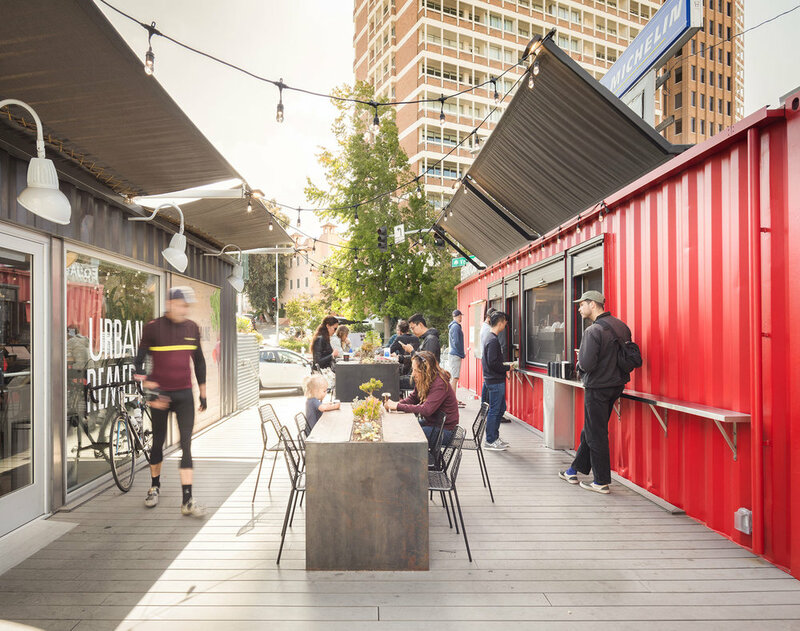 What was once an empty slither land is now a thriving community space where locals can enjoy a cup of coffee or a glass of wine in the outdoors.